The endless Mist War rages on, and this update brings new features and rewards for you and your rival worlds. Check out our blog post and the release notes for more details! Battle your way to a plethora of rewards with the new Skirmish reward track. It’s easier than ever to be part of a winning team—and to track how hard you’re walloping the opposition. 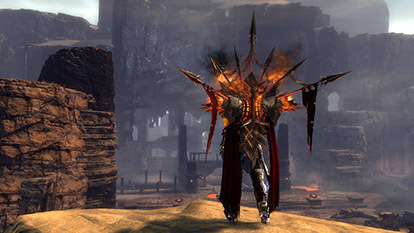 Equip yourself with Warbringer, the new WvW-exclusive legendary backpack and glider. 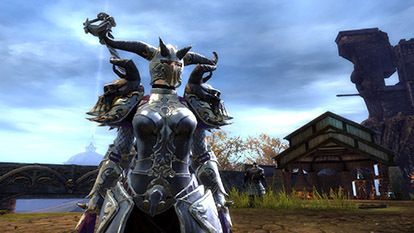 Triumphant Hero’s armor and the prestigious Mistforged Triumphant Hero’s armor are now available. Earn a charming royal mini in the new season of PvP League! Automated tournaments are here, and the Heart of the Mists has taken a new form! 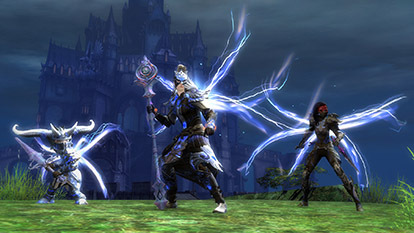 Learn more about the changes in the release notes and this blog post. The pinnacle of competitive combat. Compete in daily tournaments to qualify for a monthly tournament to earn rewards, glory, and the chance to see your winning team honored with statues in the lobby! The Heart of the Mists has been updated with a new look. 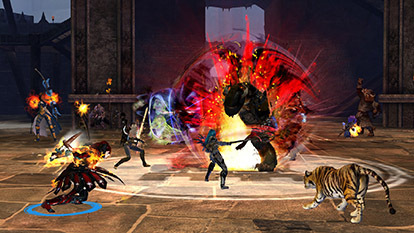 Hang out with your fellow players—or beat them up in a free-for-all public arena. Take your place among the best of the best and gain access to the exclusive Champion’s Rest lounge. Get to know your enemy personally in this new map designed for a 2 vs. 2 team death match.